AAXA Technologies refurbished projectors have been stripped, cleaned, reassembled and thoroughly tested. AAXA LED Pico Projector. AAXA Technologies Inc was founded in 2008 as a developer and manufacturer of a new class of projector known as "micro" projectors and "pico" projectors. You are bidding on a used AAXA Pico HD projector. It has a little bit of wear on it as I have enjoyed using this little thing. The original tripod mount fell out so I had to add another one as shown in the last picture. The battery still works good but I usually just run it from a usb power bank anyway. If you have any questions feel free to ask! 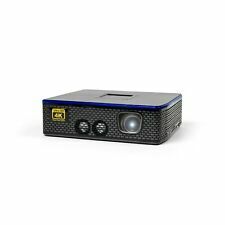 AAXA P2 Jr Pico LED Projector. Condition is Used and working in excellent shape. Shipped with USPS Priority Mail. 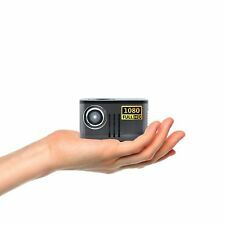 This optical engine incorporates the very latest in pico-projector technology making the P2 Jr.s diminutive form factor possible. The P2 Jr. The AAXA P2 Jr. The powerful ARM-based processor allows the AAXA P2 Jr Pico to natively play 720p videos, pictures, and even text and music directly from a USB or microSD card (up to 16GB). AAXA LED Android Apple Pico/Micro Projector 1920x1080 HD Resolution, 550 Lumens! Brand New, from a smoke-free home! $555 MSRP. Box has been opened but product has never been removed. Bought to use in my teaching studio but never got around to integrating it! See here for info on this product: http://aaxatech.com/products/led_showtime_android_projector.html Happy to combine shipping with my other listings. Will be shipped securely with bubble wrap in a sturdy cardboard box. Support a piano teacher trying to make it in San Francisco, and consider my auctions! 1280x800 Native HD Resolution. 20,000 Hour LED Light Source. 70 Minute Lithium Ion Battery. At its heart is a 720P (1280x720) DLP imager which is more than double the native pixel resolution of the nearest competitor. The S1's light-source features Osram solid state LEDs with 30,000 hour life-spans that are much more durable than lamp-based projectors. Aaxa Technologies P5 HD LED Pico Projector Brand New Factory Sealed Free S&H! Aaxa Technologies P5 HD LED Pico Projector Brand New Factory Sealed Free S&H! Condition is New and factory sealed. Free S&H with USPS Priority Mail. 5 out of 5 stars - Aaxa Technologies P5 HD LED Pico Projector Brand New Factory Sealed Free S&H! 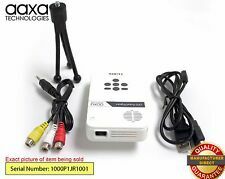 1 product rating1 product ratings - Aaxa Technologies P5 HD LED Pico Projector Brand New Factory Sealed Free S&H! AAXA Technologies LED Projector - 720p - HDTV - 16:9 - Front - LED - 20000 Hour Normal Mode - 1280 x 720 - HD 720 - 2,000:1 - 50 lm - HDMI - USB - 10 W. GREAT PRICE DO NOT PASS UP! The AAXA S1 incorporates a massive 52-watt lithium-ion battery system. The AAXA S1 is capable of direct (drop-in) mirroring support for a variety of Android phones including the Samsung Galaxy™ S9 and the Samsung™ Note 10. Trending at $269.00eBay determines this price through a machine learned model of the product's sale prices within the last 90 days. The AAXA M5 features an ultra-high efficiency 4th generation solid-state optical engine. AAXA Technologies Inc was founded in 2008 as a developer and manufacturer of a new class of projector known as "micro" projectors and "pico" projectors. What is Included? ---Aaxa Technologies P5 HD Led Pico Projector ---Original Box & Accessories Condition? ---Brand new sealed. D-Sub, HDMI. Pico / Portable. Built-in Speakers. Input Video Connectors. Analog RGB, Digital. Input Video Compatibility. Contrast Ratio. 1280 x 800.